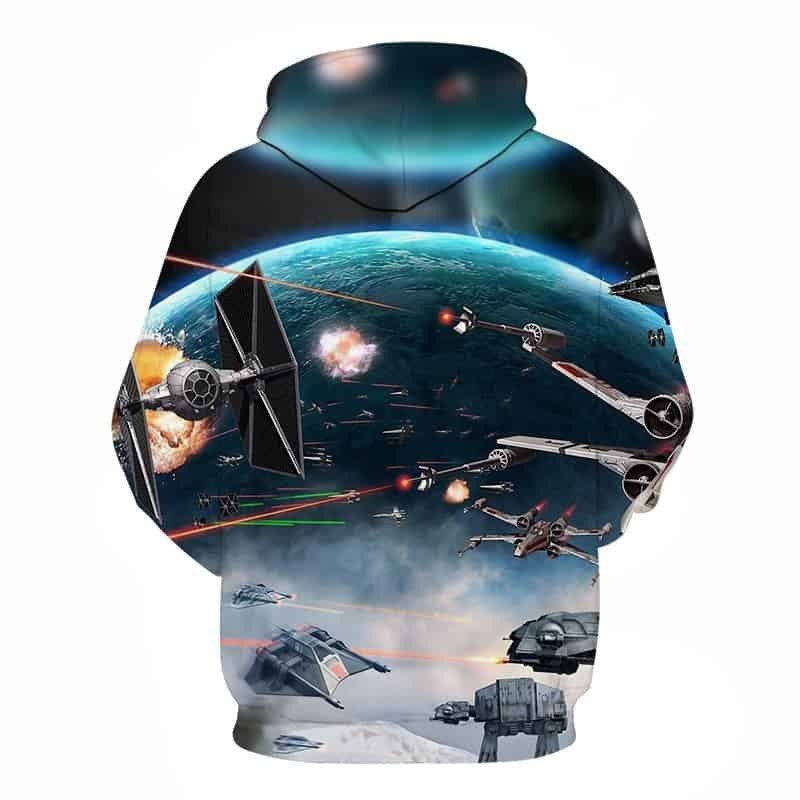 A classic Starwars hoodie. It features a typical space battle somewhere in the galaxy with a subtle blend that features a ground battle. 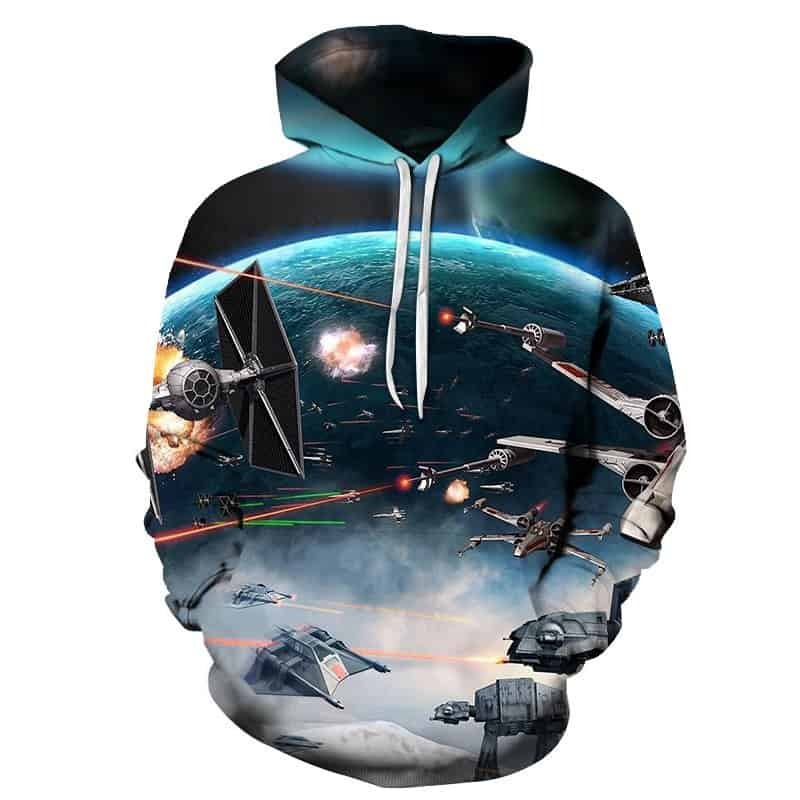 If you like Star Wars and Hoodies, then this could be the perfect hoodie for you. The hoodie is comfortable to wear, looks fashionable and is wearable anywhere. It was designed for both male and female.